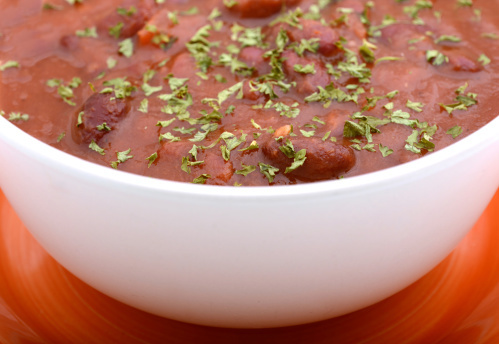 This delicious and nutritious vegetarian chili with quinoa recipe is packed with amazing flavor and great-for-you-benefits. Rinse and soak quinoa throroghly. Bring water to a boil and stir in the quinoa. Reduce to a medium heat and cover for 15-20 minutes, allowing quinoa to absorb all of the water. In a large stock pot, saute onions and garlic in olive oil on a low heat for a couple of minutes. Add all other ingredients except for the avocado. Cover the pot and allow chili to simmer on a medium heat for at least 30 minutes. Serve vegetarian chili with quinoa with avocado cubes on top.